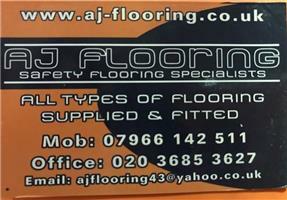 AJ Flooring London Limited - Carpets/Flooring based in Morden, Surrey. A j flooring is a family run company with over 20 years experience. Our shop from home service allows you choose your carpet or flooring in the rooms it’s fitted in. We provide free quotes, survey and advice on all your flooring needs. We can also offer a next day fitting service on selected products.